We can’t wait to hear from you and assess the needs of your concrete construction projects. Click the button below for a free quote or estimate or call us to get in contact with a friendly representative. A concrete driveway is one of the most challenging and extensive residential concrete construction projects. A driveway does not only experience heavy use, but it also creates a great first impression of your property. We always deliver high-quality driveways and can give you more options to obtain the appearance you want. A patio can be an attractive and functional addition to make to your home or yard. We would love to help you create a space where you can entertain or relax. We can build the perfect patio for your home according to the size, decorative finish, and shape of your choice. Work with us to make your dream patio a reality. We have the necessary expertise, skill, and eye for detail to upgrade any of your fixtures by using the decorative technique of stamped concrete. Achieve the styles and looks usually reserved for paved surfaces at a much lower cost and without relinquishing the benefits of a poured concrete fixture. Need other concrete work in Toronto? Contact us now to learn more about the options that are available and what we can do for you. As licensed concrete contractors, we are equipped to take on a number of projects like concrete repair, laying foundations and many more concrete construction services. Contact us or get a free quote now! What does a professional concrete contractor Toronto service looks like? We are here to remove as many obstacles from your path as possible. Sit back, relax, and watch us tackle the whole process from excavation to construction to clean up. Just tell us what you need, and we’ll take care of the rest. A concrete fixture is only as good as the quality of your concrete and the materials used. We leverage our experience, knowledge, and top industry standards to use only the best performing concrete for your project. We know that living with the noise, obstruction, and the hustle and bustle of a construction project in your own backyard is not ideal. That’s why we prioritize getting in and out as quickly as possible without compromising on the quality of the end product. What sets us apart as Toronto’s concrete contractor of choice? To protect our customers from inconsistent quality, unexpected delays, and unforeseen charges, we take care of everything ourselves. We have the expertise to complete any project. We have more than enough experience providing customers with fantastic concrete products and services to tackle any new project with confidence. We’ve seen and done it all! We take pride in our place as part of the Toronto community. Delivering a high standard of concrete workmanship to our customers is our top priority. We have all the necessary licenses and certifications so that you can approach us without worrying about our credibility. We do everything above board and we follow all legal processes by the book. Delivering a professional service comes down to treating customers with respect, tackling a project with the necessary know-how, and sticking to a deadline. We guarantee all of this and more. Contact us now, and we will give you a free assessment of your needs and an accurate quote based on the information you provide. You have nothing to lose! 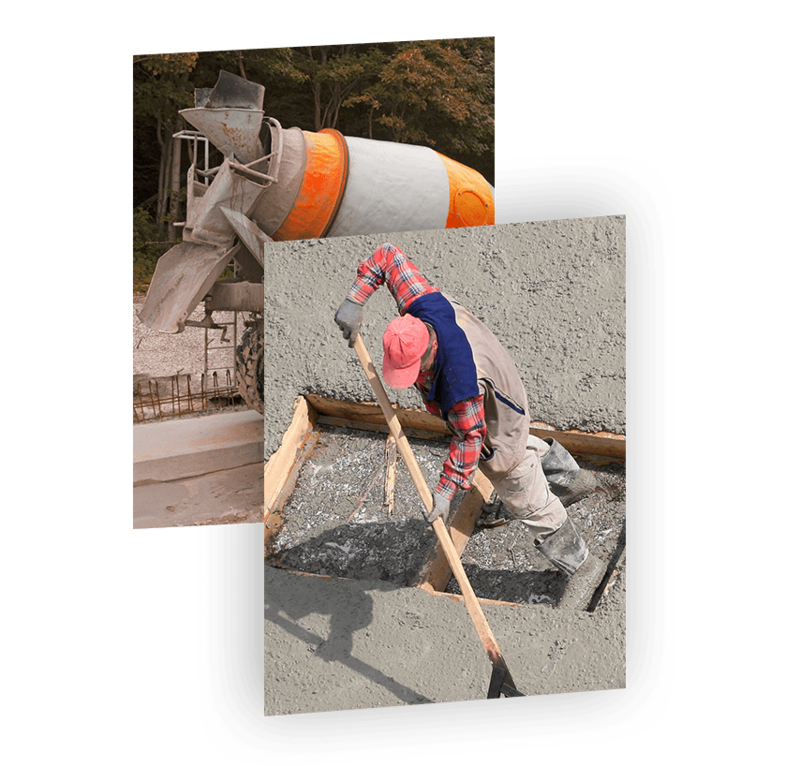 Do you have a concrete construction project? Don’t wait any longer. If you live in Toronto, that new driveway, pavement, patio, or stamped concrete fixture is just a phone call away. Call us today at Concrete Contractors Toronto and get a free assessment and quote.